For the launch of Endless Thread, a new podcast by WBUR and Reddit, my team at Greenough, in collaboration with WBUR and Reddit, developed a tailored media strategy to cultivate media interest and drive awareness of this unprecedented partnership in which WBUR producers Ben Brock Johnson and Amory Sivertson delve into Reddit’s boundless communities to explore some of the most compelling stories the internet has to offer, including revelations about shared experiences and powerful, personal stories. Although podcasts are tremendously popular with consumers, there is a lot of competition among new podcasts and a small pool of media outlets and reporters covering the medium. Thus, our media strategy was developed to distinguish Endless Thread from the competition. We did this by focusing our attention on building momentum leading up to the launch by providing advance access to the producers and to the content. This included leveraging the Third Coast Festival by hosting a pre-launch event in which the podcast was previewed by select members of the media, drafting a press release and identifying specific media targets to conduct advanced outreach prior to the official announcement of the podcast, and conducting aggressive outreach and follow-up to a comprehensive list of media whose coverage areas span business, technology, media, podcasting and culture. As a result of executing this plan, we secured 18 pieces of coverage and generated considerable interest even if it did not result in immediate coverage. On the day of the announcement, December 5, 2017, we saw extensive coverage in Nieman Lab’s Hot Pod, Variety, Current, CNET, BostInno, Boston Business Journal and Radio Ink. As we continued follow-up with media throughout December and into January, sharing previews of the first two episodes we secured additional coverage leading up to the official launch in Vulture and Columbia Journalism Review. Following the launch on January 12, we saw coverage in the CBC’s Podcast Playlist, Refinery29, AV Club’s Podmass, the Bello Collective, Boston Globe, Harvard Crimson, The Upgrade, USA Today, and TIME. The best part of all this coverage we garnered was that there was an amazing amount of enthusiasm and excitement about Endless Thread. I credit this success to a great idea, a fantastic product, strategic planning, and teamwork among all of the partners. I was recently asked by a group of concerned citizens to help with their efforts to raise awareness around the issue of erosion on Plum Island’s northern point. The erosion has been caused by construction of a jetty at the mouth of the Merrimack River and exacerbated by climate change. In just four years since the Army Corps of Engineers fixed the jetty, 400 feet of dunes have been lost. To help frame the situation and effectively communicate the complex problem, I worked with the leader of the local community group, Newburyport Mayor Donna Holaday, and Massachusetts Senator Bruce Tarr to place “Fighting Against the Tide” in the Boston Globe North section on Sunday, April 22, 2018. Correspondent Linda Greenstein provided thoughtful analysis of the issue facing the residents of Plum Island. Welcoming my father back from a mission in the early 1990s. This Memorial Day, we must remember the sacrifices our military service members and their families have made both at home and abroad. As a Navy brat, I was taught by my father to always remember the 7th of December to honor the attack on Pearl Harbor in 1941, which directly led to the formation of the U.S. Naval Construction Battalions also known as the “Seabees,” the area of the Navy in which my father served. Because of this, I am grateful for the opportunity to work with The International Museum of World War II in Natick, Massachusetts to support its mission to educate visitors about the causes and consequences of war, and to convey that war is personal and complex. Formerly known as The Museum of World War II, The International Museum of World War II recently changed its name to better reflect its unique perspective and match the breadth and depth of its collection. The new name encapsulates the reach of the Museum’s extensive and rare collection with more than 500,000 artifacts, spanning the entire world at war—all of the countries, the cultures, the home fronts and battlefronts, the ordinary soldiers, leaders and those caught up in the dislocations of war. As part of Greenough’s partnership with the Museum and through strategic media outreach, we have helped to raise its profile from a little-known entity to an internationally-recognized institution. One of the most memorable campaigns to date was our work to promote the Museum’s exhibit honoring the 75th anniversary of the attack on Pearl Harbor. The 75th Anniversary of Pearl Harbor: Why We Still Remember featured more than 100 artifacts documenting the surprise attack and United States’ response and provided a rare glimpse into Japanese atmosphere leading up to attack. Chronicling what transpired before, during and after the attack on Pearl Harbor, the exhibition presented the first message from Pearl Harbor to “All U.S. Navy Ships present Hawaiian area” announcing the attack in the first moments, pieces of a Japanese plane that was shot down, the first printed declaration of war by Japan on the United States, and artifacts depicting the overwhelming sense of American patriotism that emerged as a result of the attack. The media coverage is a testament to the significant and thought-provoking work the Museum carries out. Beyond the Pearl Harbor exhibition, we have had the opportunity to pitch numerous stories on the Museum’s robust educational initiatives, exceptional acquisitions, awarded grants and profiles of founder Kenneth W. Rendell, as well as other temporary exhibitions. This coverage has appeared in the New York Times, Washington Post, Christian Science Monitor, Reuters and the Boston Globe, among others. The International Museum of World War II is a remarkable institution that reminds visitors of the human aspect of war. Military brat or not, if you’re in the Greater Boston area, I invite you to schedule a visit to the Museum to be reminded of the sacrifices of those who have served our country. On the occasion of its 150th anniversary, the Yale Peabody Museum of Natural History sought to do two things: 1) To change the perception that natural history museums have remained unchanged and stuck in the past since their founding; and 2) To present itself as the preeminent museum for gems and minerals with the opening of a new, state-of-the-art gem and mineral gallery, David Friend Hall. Greenough saw this as a perfect opportunity to increase institutional awareness and reposition the organization as an innovative, forward-thinking natural history museum. We developed a long-lead, national media strategy to enhance the institution’s reputation, increase visibility, and reframe the Museum to shift public perception. To do this, we conducted in-depth research in the natural history museum field and held input meetings with Peabody leadership to gain a better understanding of their vision and goals. We then developed a comprehensive media strategy founded on proactive, long-lead outreach to priority media to meet the Peabody’s objectives. We began executing this strategy by crafting a core set of key messages that conveyed the Peabody’s vision for the sesquicentennial and beyond, and the importance of David Friend Hall to the Peabody, the natural history museum and science community, and the greater public. We then created an inventory of possible story angles to reach the broadest audiences across varying outlets such as science, mineral and gem, art, museum, philanthropy and lifestyle trades as well as national and local cultural coverage. Once those initial pieces were in place, Greenough conducted a national media campaign, securing more than 75 pieces of coverage spanning national top tier daily news outlets, local Connecticut publications, science and mineral trades, and philanthropy and cultural trade publications. The Wall Street Journal published a stunning review of the institution, USA Today named David Friend Hall one of the “12 best U.S. museum exhibits to see this fall,” Rock & Gem featured David Friend Hall as the cover story of the October issue, and Connecticut Magazine developed a 2,000-word, 9-page spread, feature article. Our resulting coverage had the potential to reach a print circulation of more than 2.1 million readers, and our online coverage had the potential to garner a total of nearly 153 million monthly unique impressions. So we were able to increase institutional awareness and raise visibility, but did we shift perceptions and highlight the Peabody’s stellar collection? The answer is yes. 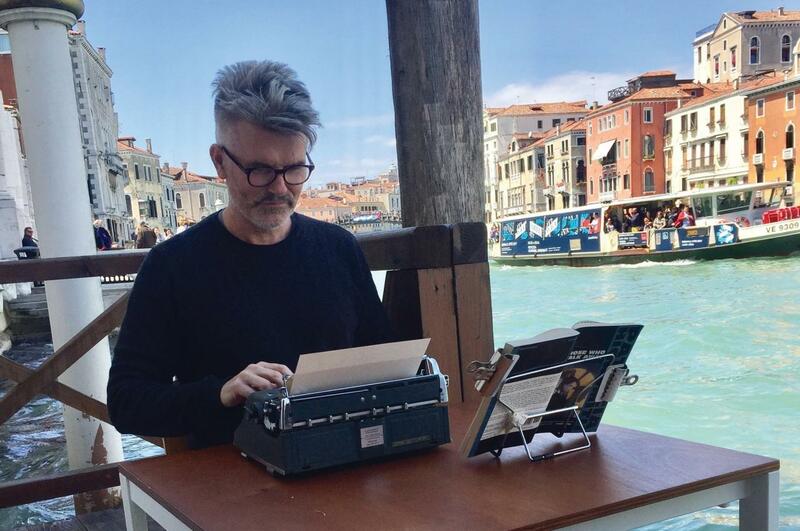 In each piece of coverage, each author makes a note of the institution’s innovations and underscores its relevancy now more than ever. As a result of this strategic public relations campaign, the Peabody has seen a steady and consistent increase in the number of visitors to the Museum. During the opening month, attendance increased 45% from the previous October, and November and December continued with a 17% and 10% increase, respectively. We are pleased to see our efforts directly impact attendance numbers and shape the public’s perception of the Peabody. And, as an added bonus, Greenough was awarded honorable mention for the 2017 PR News Nonprofit PR Awards. So, just as a diamond needs to be polished to find its inherent brilliance, so too, do institutions need to revamp their messaging and have a strong, strategic PR program to ensure they stand out and shine. This article first appeared on the Greenough blog on March 22, 2017. Reviews of my clients, the Yale Peabody Museum of Natural History and the Museum of World War II, appeared side-by-side in the Wall Street Journal in December 2016. To conform to shifting reader habits and the quickening news cycle, the New York Times and Wall Street Journal have both recently reorganized their publishing formats—most notably impacting the arts sections—and the Boston Globe is undergoing an audit of its editorial department. The New York Times cut its local tri-state culture coverage in August and redesigned its arts section in December, concentrating on consumer-focused pieces such as “Show Us Your Wall” and cutting the weekly column, “Inside Art,” which had served as a “must-read” for everyone in the art market. The Wall Street Journal launched a new print format with fewer sections in November. The publication introduced a new “Business & Finance” section which combined “Business & Tech” and “Money & Investing” and a new “Life & Arts” section which combined “Personal Journal” and “Arena.” Like the Times, the Journal also reduced its regional “Greater New York” coverage. The Boston Globe is rethinking how the editorial department should function with today’s shortened news cycle. Rather than adhering to the deadlines demanded by the print schedule, the Globe will publish stories online throughout the day and night. To meet this end, they are creating an “Express Desk” to post breaking news and jump on trending stories. The overarching result of these changes is reduced print coverage. With limited space to work with, editors must decide which stories are selected for print. And not all make the cut. For example, although a recent review of the Museum of World War II’s anti-Semitism exhibition was featured in full in the Wall Street Journal’s print edition, a WSJ article on recreational marijuana in the workplace featuring Mirick O’Connell was shortened for print. In some cases, a story slated for publication gets bumped for a breaking news story, which was the case with a WSJ review of the Yale Peabody Museum when a Christie’s executive announced he was stepping down the same day. Or it may be delegated as an online only story, such as the WSJ review of the Museum of World War II’s exhibition on Pearl Harbor, which was never slated for the print edition in the first place. In the digital age, where social media reigns, the idea that a story may only be published online is not necessarily a negative. It simply reflects our shifting news consumption habits. With online stories, we can share content with a broader audience and bolster the reach of the coverage. As we have seen with the rise of Buzzfeed, the ability to share and “like” has a tangible, measurable and significant impact on the reach of digital media coverage. Additionally, we are also in a golden age of video and audio reports shared through digital platforms. Boston’s own NPR station, WBUR, continues to see strong support from its listeners and donors to expand its offerings and to report through new digital platforms. This year alone, WBUR launched a new website and mobile app which focus on the user experience of listening. It also launched the new education vertical, Edify, and received a $3 million grant from the Barr Foundation to bolster its arts and culture reporting, The ARTery. This is just one example of the kind of shift and dispersion occurring in the media landscape. As we continue to witness the evolution of media, it’s important to understand the new limitations in print coverage, to manage the expectations of our clients and to be prepared to capitalize on the next trend in media. This article first appeared on the Greenough blog on January 17, 2017. 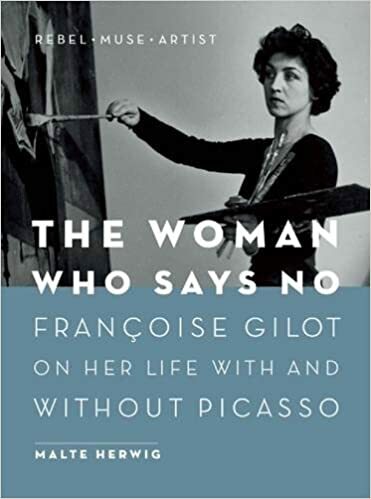 While reflecting on the past year, I received The Woman Who Says No: Françoise Gilot on her life with and without Picasso by Malte Herwig from a dear friend of mine. I immediately read the book and found much of what the artist said to ring true. I found many shared philosophies between Gilot and my artist friends, which reaffirmed what I learned and accomplished in New York City and gave me renewed motivation for the new year. The Woman Who Says No reads like an extended interview where there is a process of discovery made by the author through first-hand accounts of his meetings, analysis of the artist’s remarkable life, and insight into her positive yet pragmatic outlook on life. The book reveals the wisdom Gilot has earned throughout her lifetime. I found inspiration in what Gilot had to say but, I was most struck by the way in which Gilot spoke about her life. She was very centered, never bitter, and passionate about her art, her past, and her future. I enjoyed learning about her experiences and the advice she had to offer. I also love how she hasn’t conformed to what people would expect of her and how she continues to push herself in her 90s. All in all, The Woman Who Says No is a refreshing yet grounded reprieve from the chaos and negativity in the world today. I recommend it to those looking for insight and encouragement.